After standing as the only candidate, Hangzhou, a Chinese city, has been confirmed as the host of the 2022 Asian Games, media reports stated. Regarding this, a contract was signed by the Olympic Council of Asia with officials from Hangzhou during meetings in Turkmenistan. Beijing will be hosting the Winter Olympics in 2022. The Asian Games is a major multi-sport event held in every four years in which athletes from all the 45 participating nations in Asian continent compete. Also known as Asiad , this is the second largest multi sport event after the Olympics. 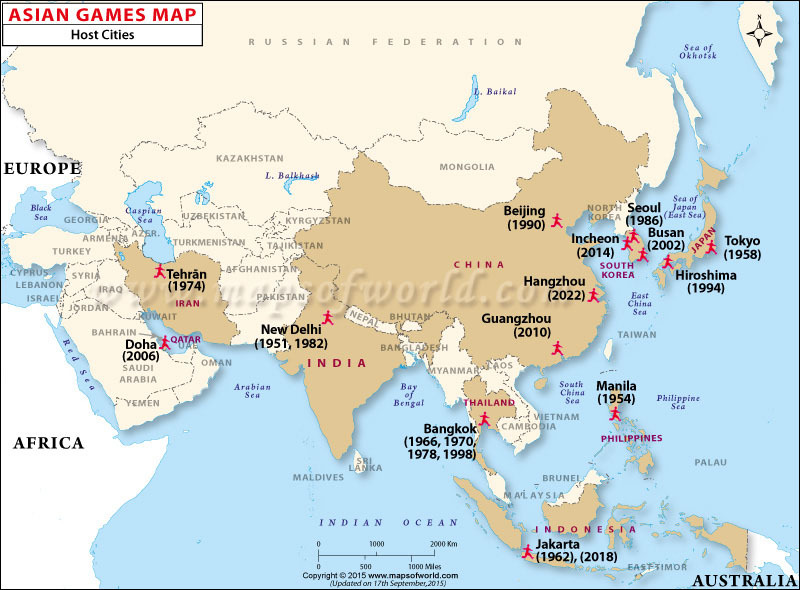 The first asian games was held in New Delhi, India in 1951 and the last events was held in Guangzhou, China in 2010 and the next asian games is going to be held in incheon, South Korea in 2014. The Asian Games is evovled from the Far Eastern Championship Games and the West Asian Games. There are 44 sports events present in Asian Games of which 36 are olympics events and 8 are non-olympic events.